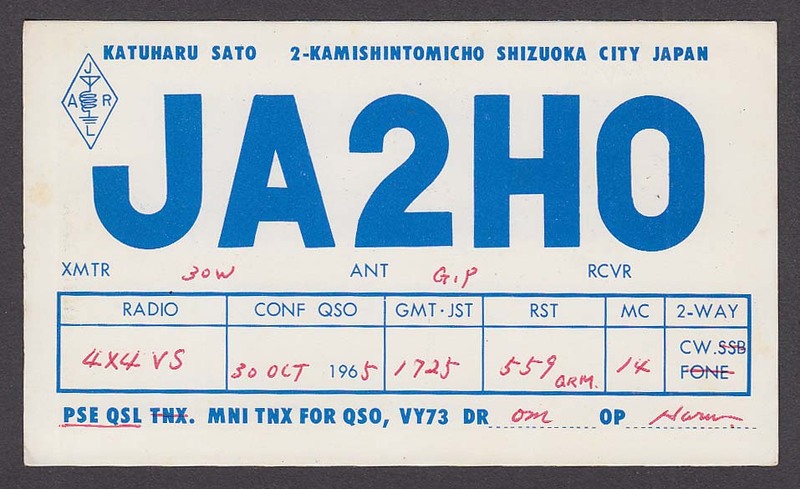 QSL card for operator & call stated. Size of a standard postcard. Mailed as a postcard unless otherwise stated above. Dimensions given, if any, are approximate.